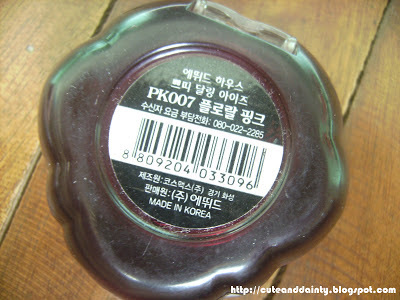 I was cleaning up some of my things when my sister asked me about the eyeshadow I got that I was not using. 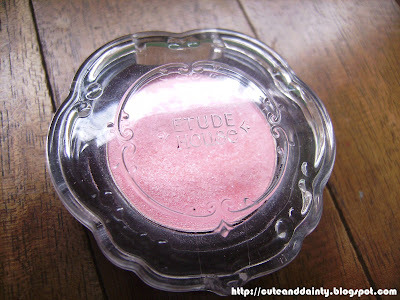 It's from a Korean shop Etude House. I'm a fan of Etude House but I just totally forgot to (review and to) use this. I bought this months ago and totally forgot all about it. 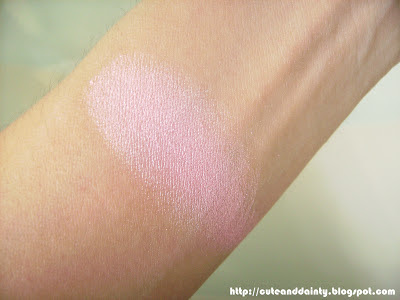 I had tried few swatches though and tried it like 3-5 times and it just disappeared. I only found out about this few days ago when I was cleaning my other bags. Now thinking about my other bags, I found out that my very first expensive bag was stained all over! I don't know what happened with my Rebecca Minkoff! Now I am looking for someone who can repair it for me. Do you know anyone? I've heard about Bag Rx at Eastwood City, Libis and I want to give it a try! Do they give good results? I want to read a review from them. Moving on, since this eyeshadow was kept in my drawers, and was forgotten all along, I think I owe this blog a lot. It only means I'm way behind my posts! I like the packaging because it's really cute and the letters are embossed unlike others that were just printed. Those are easily erased unlike this one. This also has a pinkish shade. Light pink actually, which apparently not much to my liking. Since some Korean products doesn't have the name, most of the time, it's just reflected on the item code. 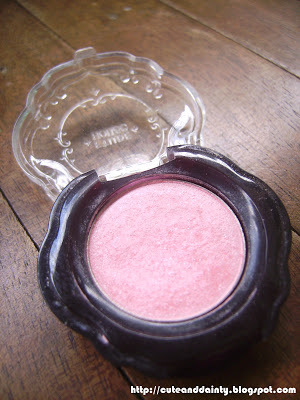 I like the shade of PK103 for blush-on on EH. This one's lighter but it's cute because it's glittery. Honestly, I'm not a fan of eyeshadow or maybe because I didn't know the trick on how to put one. I still need to practice my makeup skills so I could appreciate more what I'm doing. The label's embossed and wasn't erased even after some time. It glittery making it more obvious when applied on. I apologize for forgetting the price of this. I was not in my right mind when I purchased this making it hard for me to remember how much I got this one on store. NO nothing about make ups. WIll show this post of yours to my wife :).